Comments: Bernard Dillon (Nee: Sharbaugh) | Carrolltown PA USA | 1921-1940 | Comments: This is a wedding photo of my Uncle Bernard wedding day. It was taken in the Sharbaugh homestead back yard. 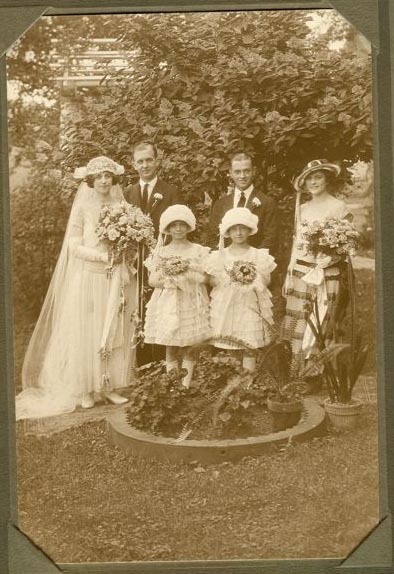 On the left is Aunt Helen, Uncle Bernard, Uncle Leo, Nancy Sharbaugh, sister of bride, in front flower girls Peggy Sharbaugh, left side is Caroline Dillon.